Insurance Coverage: Does Breed Matter? You bet it does. I have to admit – I hadn’t thought a lot at all about whether the breed of a person’s dog has the potential to affect their homeowner’s insurance until Carrie Van Brunt-Wiley of HomeInsurance.com reached out to me and asked if she could submit a guest post on the topic. It can certainly be a pretty heated one! If you’re thinking about getting a dog, moving, buying a house, or switching your homeowner’s insurance, this guest post is for you. Mark and Lauren are homeowners that rescue a puppy from a local animal shelter which happens to be a cross breed of what the vet thinks is probably a Pit bull and a Labrador retriever. The puppy has an excellent temperament and is great with their children and other animals. Mark and Lauren’s homeowners insurance company will not insure a household where there is a Pit bull living on the premises due to the bite history associated with the breed. Upon learning that Mark and Lauren have adopted a pit bull mix, the homeowners insurance carrier notifies the couple that it will be non-renewing the policy and advising Mark and Lauren that they will need to find coverage elsewhere. The couple finally finds an insurance carrier that will insure the home; however, because of the dog’s breed, the company charges considerably higher rates for the policy. Dog bites are one of the most commonly filed liability lawsuits and insurance carriers are left to cover the legal fees that are incurred when a claim is filed as a result. In response to this, insurance carriers rely on data provided by research groups including the Centers for Disease Control (CDC) that spells out which dog breeds are most commonly associated with aggressive behavior and bites. These breeds, among others, have become known by insurance carriers as “aggressive breeds” and often disqualify homeowners for coverage. 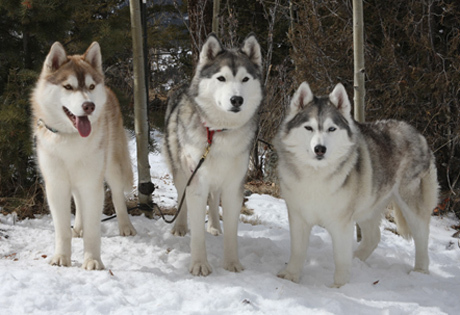 In other cases, homeowners pay steep rates for owning one of these breeds. Many dog owners and dog advocacy groups often adamantly disagree with this practice. 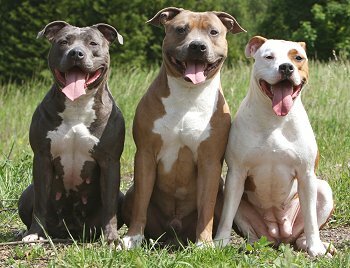 Groups such as The Humane Society have openly spoken their opinion on the matter, saying that while breed can sometimes be a determining factor in a dog’s likelihood of being aggressive, it alone should not be used to stereotype a canine’s temperament. The American Society for the Prevention of Cruelty to Animals says mistaken identity can’t be ruled out in the statistics identifying aggressive breeds: There is “a significant discrepancy between visual determination of breed and DNA determination of breed,” the ASCPA says in a position paper on the topic. Just last week a surprising story surfaced about an insurance company that will no longer insure a home in Nebraska where a police dog resides with a police officer. 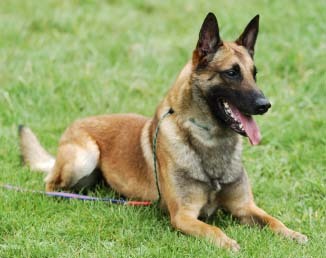 American Family Insurance notified Sheriff Deputy Andy Woodward that they will be cancelling his policy in December due to the fact that the police dog, a Belgian Malinois, resides on the premises and is considered by them to be a dangerous breed. This comes in spite of the fact that the Sheriff’s Department insures the canine separately and that Woodward is required to live with him. Understand what the implications are for owning an “aggressive breed” before you adopt, and talk to your insurance agent. If you own or plan to own any breed of dog, take steps to prevent bites which include fencing your property and responsibly socializing your dog with other animals and people to get a feel for their temperament. Don’t let neighborhood children play with your dog unattended even if your dog has never shown signs of aggression. About the Author: Carrie Van Brunt-Wiley manages the HomeInsurance.com blog which is aimed at educating consumers about property and liability insurance. Posted on November 1, 2012 by Shannon	This entry was posted in This 'N' That. Bookmark the permalink. Would it makes a different if you did a DNA test on your dog? I’ve had one done on one of mine and found out she was not part pitbull! she was a mix of of a lot of breeds ! It might! I haven’t done one on Teton but would like to. I always wondered this but isnt that like discrimination? haha, anyway, great information here. Thank you!